Why celebrities like Francis Ford Coppola, Robert Redford and Richard Branson are getting into the hotel business. He may be more famous for directing "The Godfather" film trilogy, but Francis Ford Coppola has another trio of esteemed creations to his name: three boutique hotels hidden in the Central American jungle. He found Blancaneaux Lodge in Belize while searching for the same kind of jungle paradise he fell in love with when filming "Apocalypse Now." "The area was very remote, wild, with a beautiful river and waterfall, and I thought, 'I could write here'," says Coppola. For years, he used the rain-forest lodge as a creative retreat and an escape for family and friends. In 1992, he opened it up to paying guests. He got so much positive feedback—and made such a handy profit—that eventually he launched two more hotels: Turtle Inn on a beach in Belize and Guatemala's La Lancha, on a lake near the ancient Mayan ruins of Tikal. Both opened in 2003 after extensive renovations; Turtle Inn needed to be entirely rebuilt after Hurricane Iris in 2001. "I didn't mind because it allowed me to create an entire theme for the property," says Coppola. "So much of what is offered in the hotel world is cookie-cutter—you could be in Morocco or Minnesota. My films all have themes, [as] do my hotels. Each has its own personality." And as the growing ranks of celebrity hoteliers are learning, personality sells rooms a lot better than any plasma TV or Thai spa treatment ever could. At Blancaneaux Lodge, the Francis Ford Coppola Family Pavilion, which features pieces from his personal art and antiques collection, starts at $2,000 a night in peak season—triple the price of other villas. Other well-known personalities, including Giorgio Armani, Clint Eastwood and Andre Agassi and Steffi Graf, have lent their names to high-end hotel projects as well; Bill Gates recently bought a 45 percent stake in the luxury Four Seasons hotel chain. U2's Bono and the Edge saved Dublin's old Clarence hotel from demolition in 1992, and in the process turned it—and the whole neighborhood—around. Indeed, in today's celebrity-obsessed culture, there seems to be no shortage of well-heeled travelers willing to pay a premium to stay at Robert Redford's place in Utah, or the Versace palazzo in Australia. For the high-profile owners, it's easy to see the appeal: hotels have become an extremely profitable investment. According to Smith Travel Research, global hotel occupancy for 2006 hit 65 percent. PricewaterhouseCoopers says that in the United States, occupancy was the highest it's been since 1997, and that the lodging industry made an aggregate profit of $25.3 billion, up 11.6 percent from 2005. This year hotels and resorts stand to profit on average by more than $6,000 for each available room. "It's very hard today for a hotel project not to be successful and make money," says industry analyst Bjorn Hanson. "Hotels certainly benefit from the influence of a personality—a personality who is willing to express him- or herself through design." Celebrities use hotels to raise their own profiles, too. Coppola's properties—along with his wine estates and food company—for bringing him success even when his filmmaking hit occasional lulls. Agassi says he and Graf bought into the 301-room all-season boutique resort the Fairmont Tamarack in Idaho partly to maintain their influence. "When we were playing professional tennis, Stefanie and I both had an impact on people during the couple of hours we were on the court," he says. "Being involved so closely with the Fairmont Tamarack is a way of relating to people in a much more substantive, long-term way." The flamboyant billionaire businessman Richard Branson, an expert at branding himself, has hotels in South Africa, Morocco and the British Virgin Islands, with two new properties—a spa resort in the United States and a ski lodge in Switzerland—soon to join his portfolio. The guest book at Branson's Caribbean hideaway, Necker Island, where rooms start at $22,500 a week, lists such big names as Michael Douglas, Oprah Winfrey and Steven Spielberg. Now Branson plans to burnish his image by turning his newest acquisition, Moskito Island, into a carbon-neutral resort and model of sustainability. Hotel hobbyists have been around since the late James Goldsmith, a billionaire British businessman turned environmentalist, bought more than 30,000 acres on a nature preserve in Mexico 20 years ago. There he created the Cuixmala retreat, a private hideaway for the rich and famous, and infused it with his eccentric taste, including a life-size bronze gorilla and rhinoceros at the entrance and a blue and yellow illuminated dome atop his former home, La Loma. Villas start at $1,500 a night; La Loma goes for $9,000 to $15,000. Indeed, hotel ventures have often grown out of environmental concerns. Clint Eastwood bought the property for his Mission Ranch in Carmel, California, to save it from being turned into condominiums. Robert Redford's initial motivation for buying land in Utah in the 1960s was for preservation, but in 1981 Redford invited some young filmmakers to a retreat on the property and the Sundance Institute was born. "He envisioned having a place with a balance of art and nature and a community that believed in that," says spokeswoman Lucy Ridolphi. In 1988, 66 cottages were built to house the artists-in-residence, and Ridolphi says it was a "natural progression" to open them up to the public. "[Guests] may be attracted to the name Robert Redford, but when they actually arrive, they see why it's magical." A big name can make the difference between running full or empty. At the Clarence, homeboy owners Bono and the Edge are occasionally seen drinking in the hotel's Octagon Bar, which guests love. The two men were regulars at the original two-star hotel and their attachment led them to buy the hotel when it was on the block, threatened with demolition to make room for a bus depot. They spent a fortune restoring it to its former glory, creating 49 rooms and a €2,600-per-night two-story penthouse suite, with an outdoor hot tub and rooftop terrace. "A hotel like the Clarence is inevitably a personal vision, and for the owners, the Clarence is where they would choose to stay when visiting Dublin," says hotel manager Oliver Sevestre. Rooms start at $490 per night. Personal passions—as much as financial incentives—often drive these ventures. 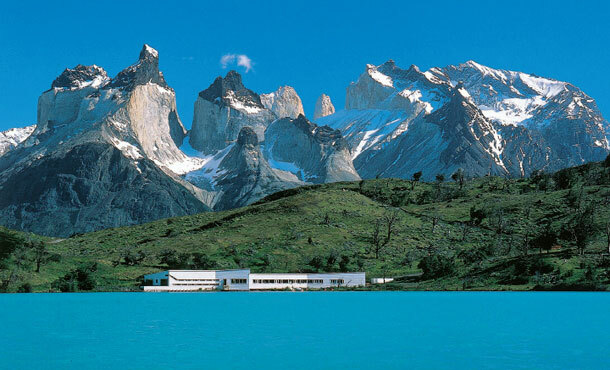 Chilean food-and-wine entrepreneur Pedro Ibáñez founded the Explora properties, which combine high-exertion activities like hiking or horseback-riding with posh accommodations, because they suited his interests. "When I started Explora in Patagonia, with the idea of outdoor physical activity, everybody thought I had gone mad," he says. "They said we were not going to have enough guests to pay for the initiative." But the company did so well that Ibáñez opened a second hotel in the Atacama Desert and is now expanding into Peru and Easter Island. "From the beginning, it had to be a moneymaking enterprise," says Ibáñez. "We are very happy the [expansion] is now being funded by the business itself." But hotel ownership is not for dilettantes looking for something to dabble in. Ibáñez has been amazed by how much of his time Explora eats up. "It keeps me busier than I thought, but the payback is more than I ever expected," he says. Agassi says he and Graf "have been involved in virtually every detail at Tamarack, from exterior designs to the fabrics used on the furniture." Ultimately, these hobbyists are peddling their lifestyle, in the form of places they would want to—and often do—stay. "In the course of my film career, I have spent thousands of nights in hotels, so I know what I like and don't like," says Coppola, who visits his properties for as long as a month at a time. "I want [my hotels] to be a place [to] get away from all the stress of our modern, technology-heavy world ... and reconnect with what is important—family, nature, inner voice." And maybe even the occasional celebrity sighting.